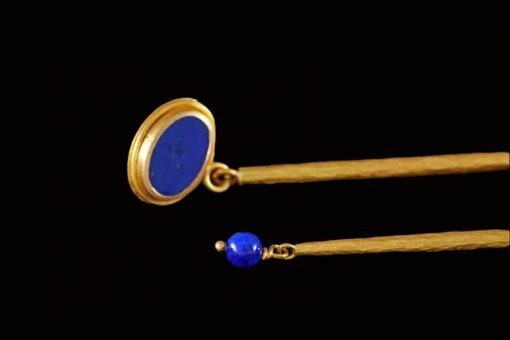 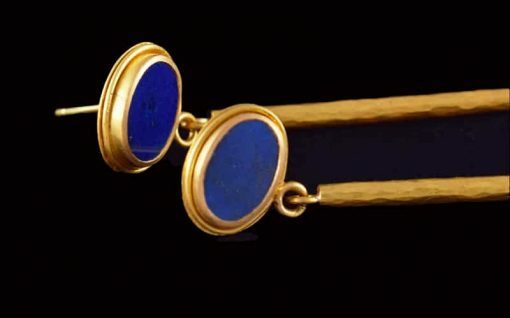 Oval discs of vibrant lapis lazuli set in 22ct gold. 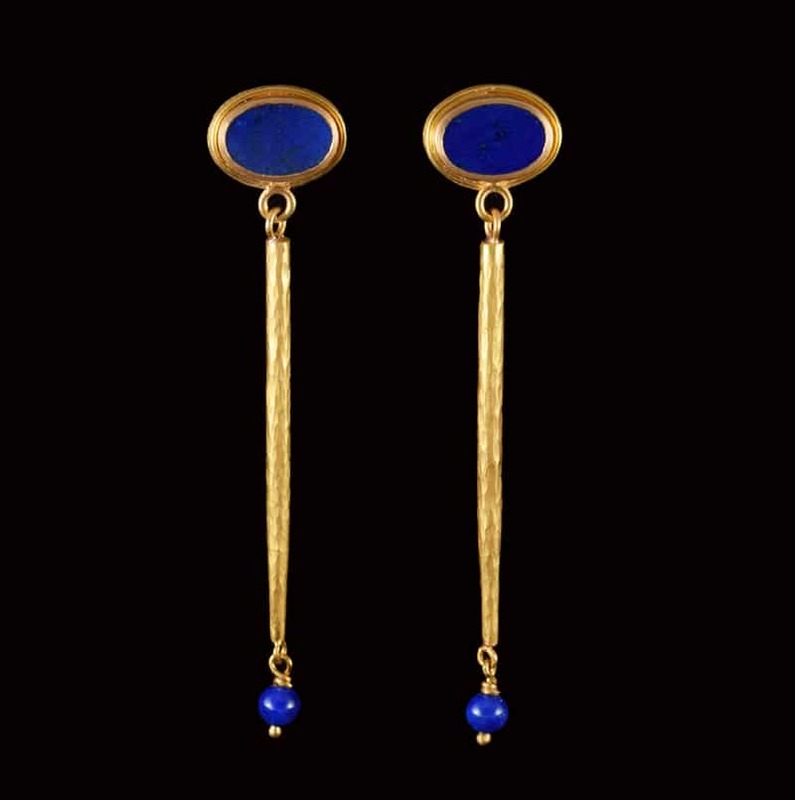 Below the discs hang ‘tusks’ of beaten gold, at the end of which hangs a little, bright lapis bead. 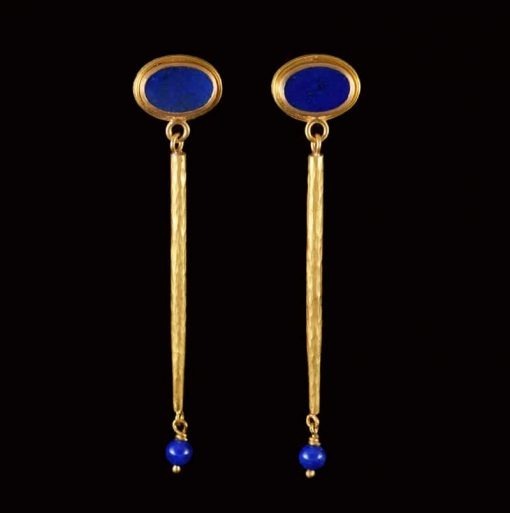 Overall length of these interesting and quite unique earrings is approximately 6.5cm.